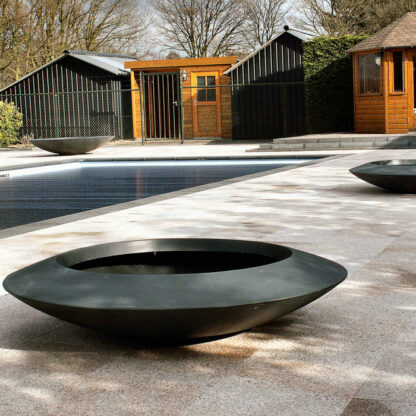 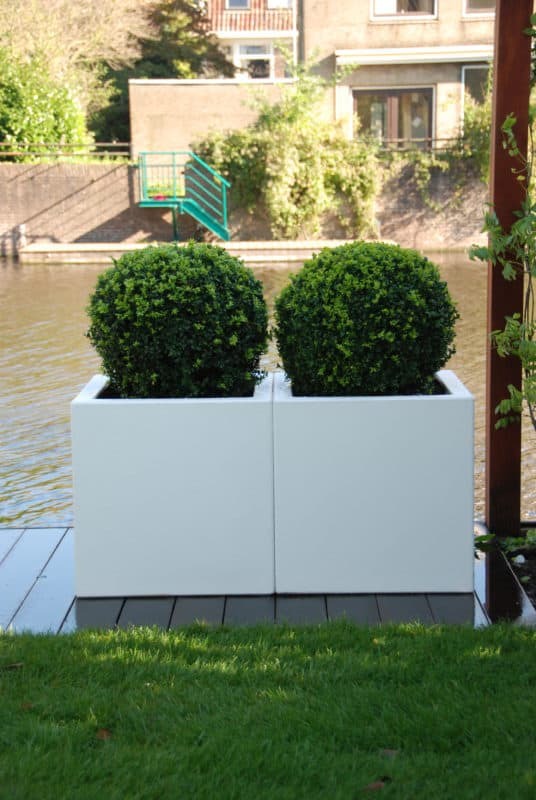 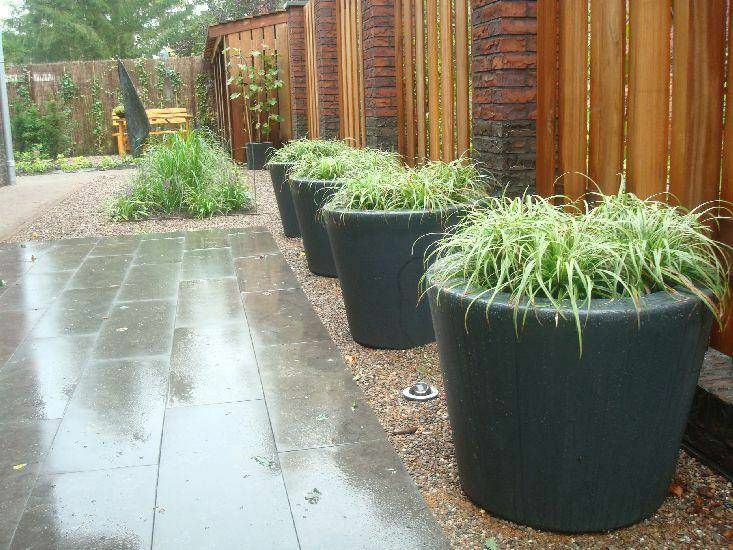 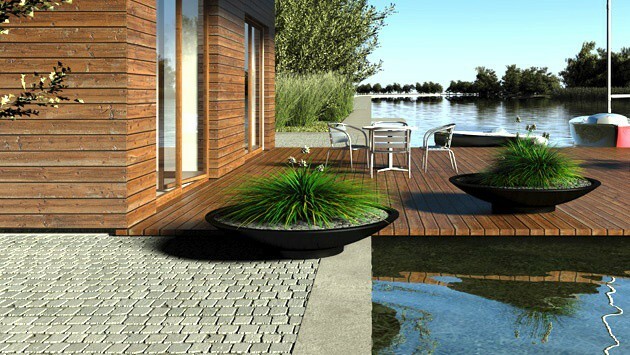 This range of Adezz Fibreglass Planters are made to the same high standard as the other lines produced by this professional manufacturer. 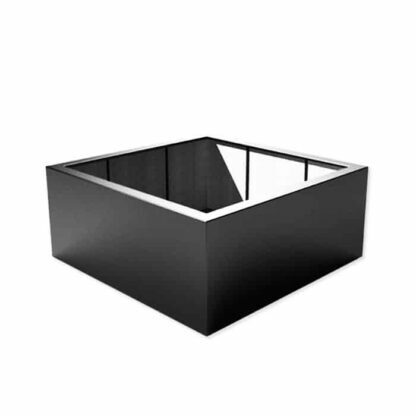 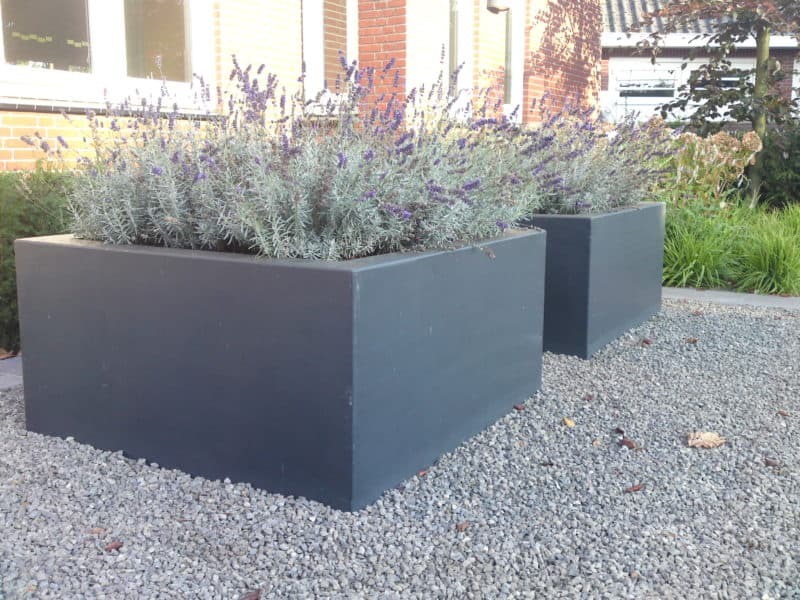 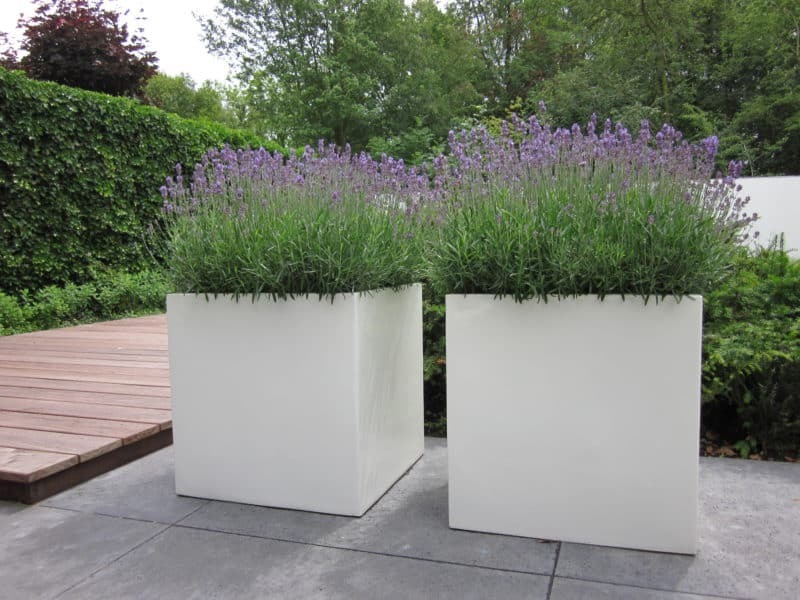 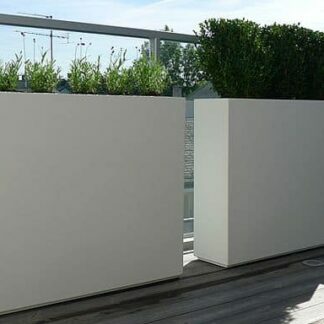 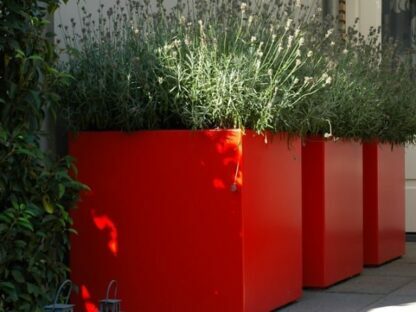 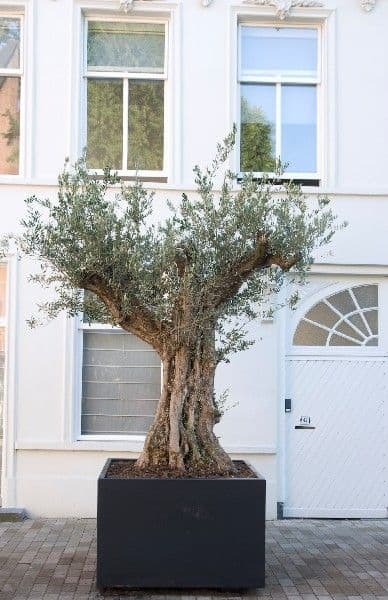 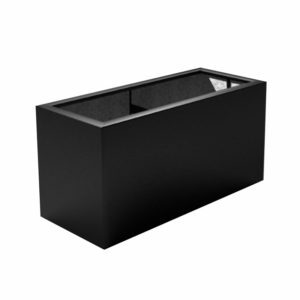 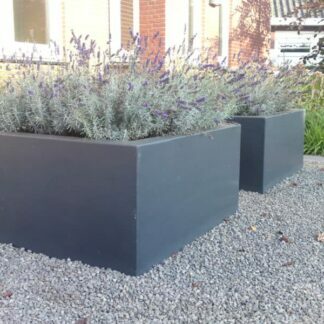 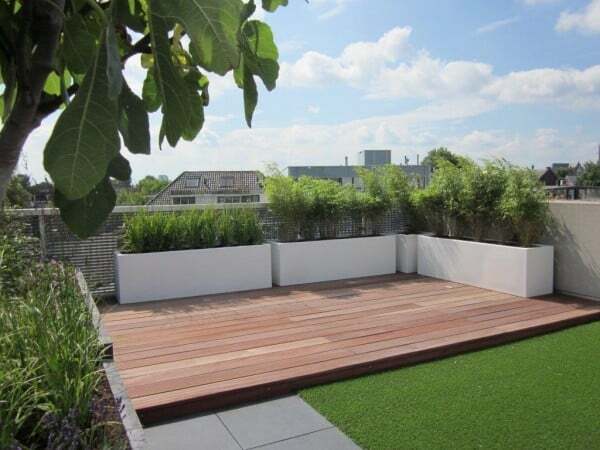 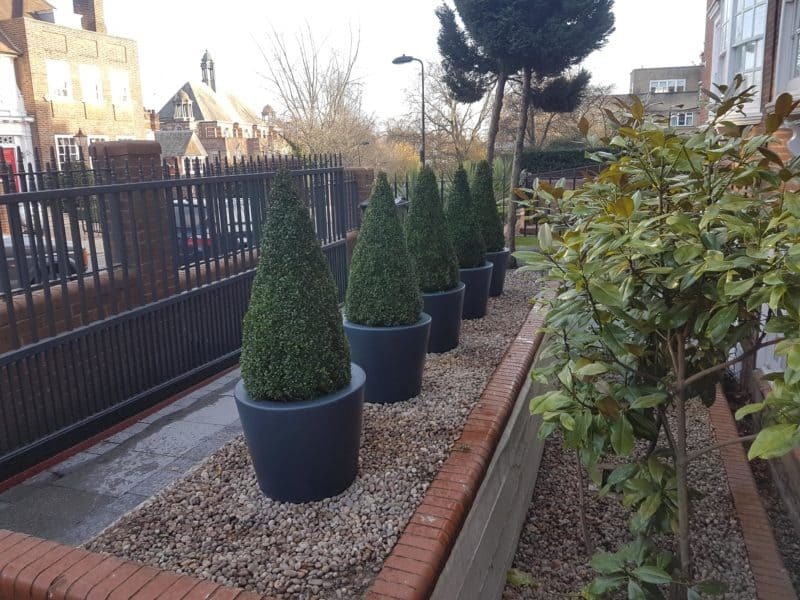 The material in question is high quality reinforced fibreglass with additional reinforcement in the corners to ensure that these planters are robust enough for even the most demanding commercial applications for areas likely to experience a high footfall. 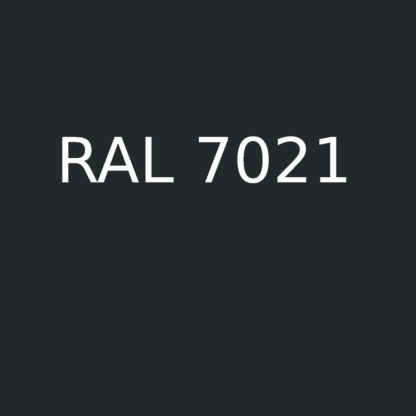 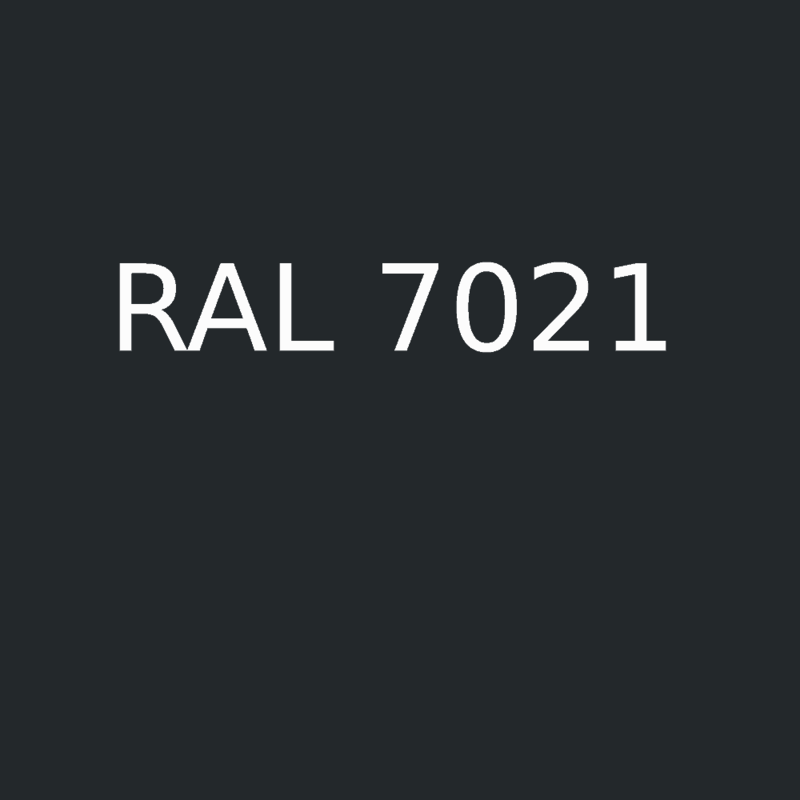 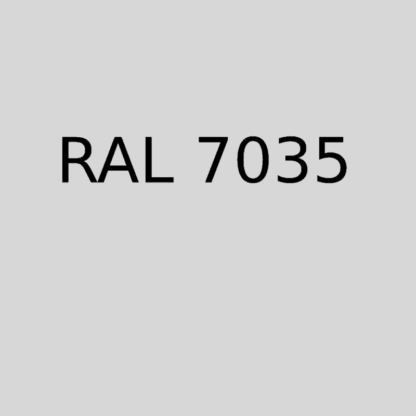 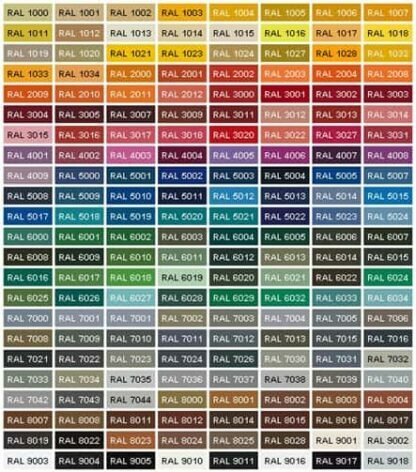 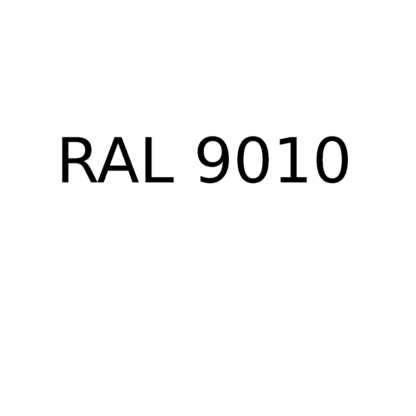 They come in RAL colour 7021 as a standard but other colours are available for an additional charge. 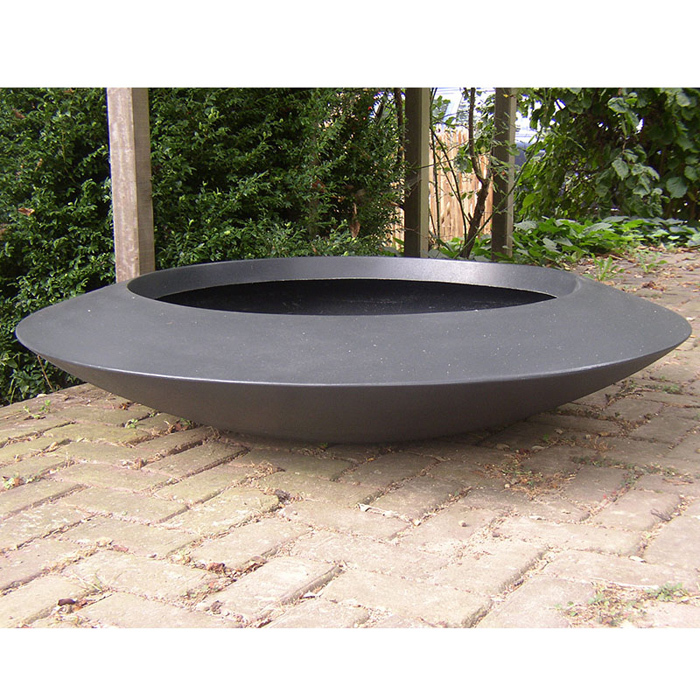 In addition to this, for larger orders bespoke sizes can be made. 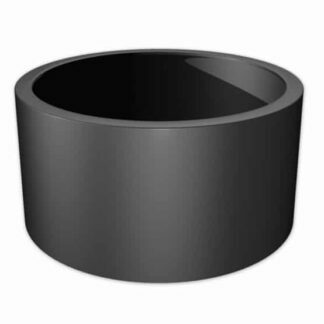 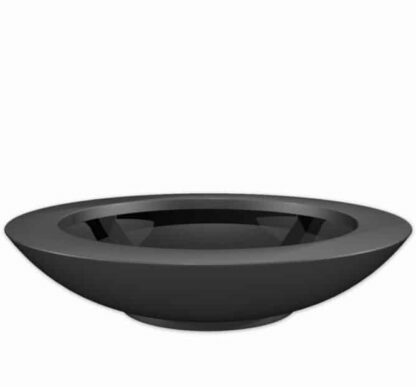 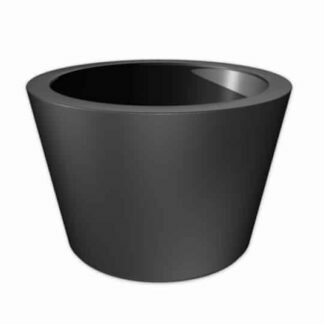 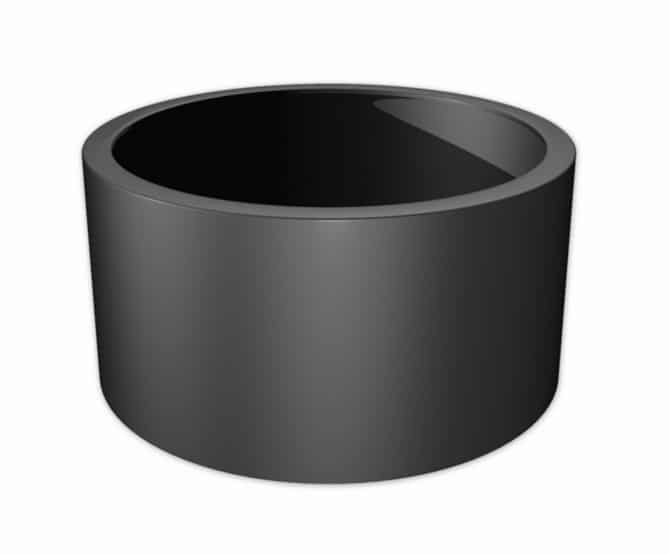 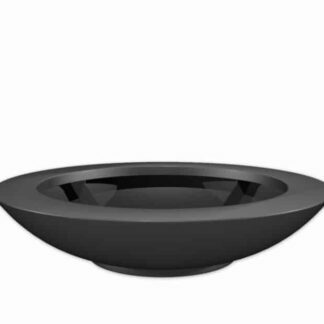 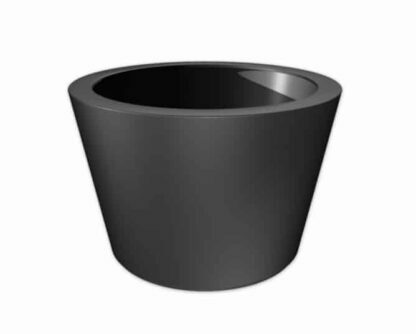 These high quality garden planters really are an excellent choice for landscapers, or any job that requires more than a few planters. 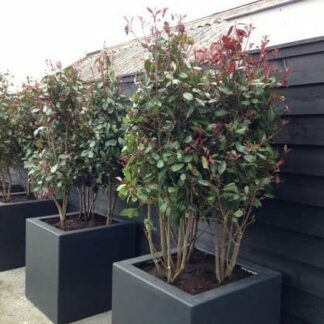 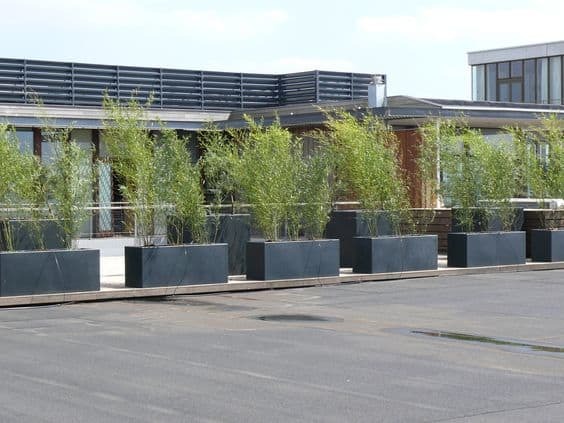 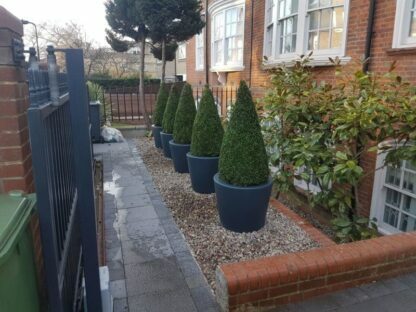 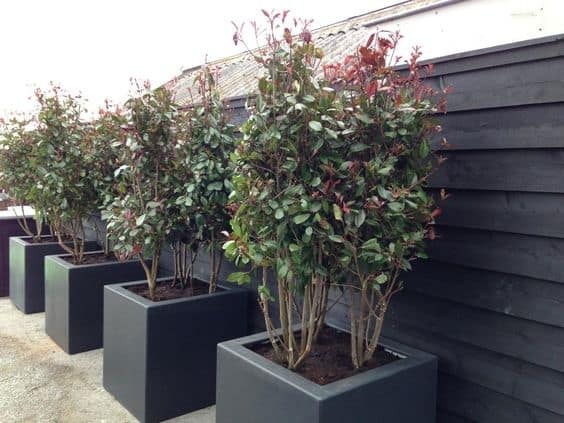 For slightly larger jobs, we are even happy to source plants for, plant up and install these planters on site. 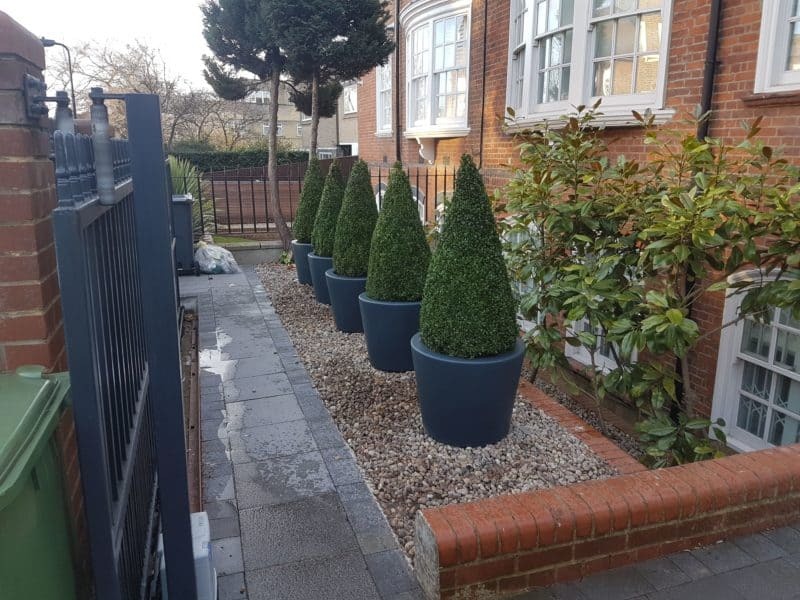 Feel free to call us for more details or a quote. 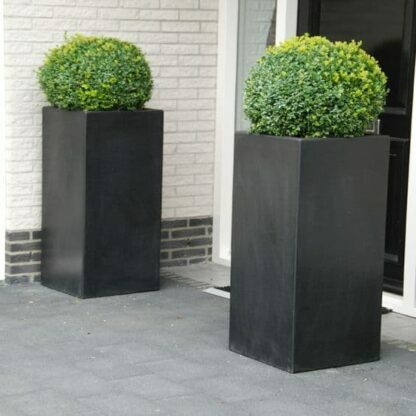 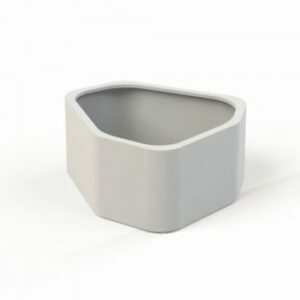 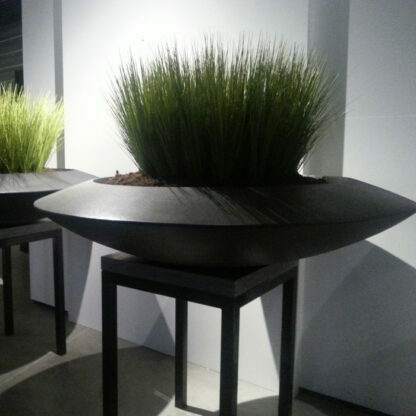 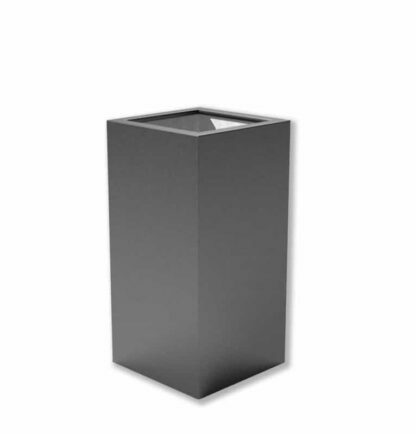 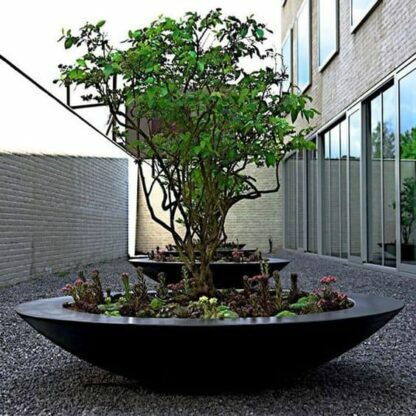 These planters are folded over twice at the top, giving them a neat, finished appearance. 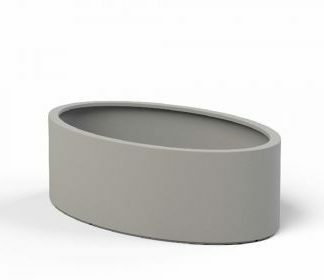 As part of the manufacturing process, the colour is mixed in and so it runs all the way through the finished material. 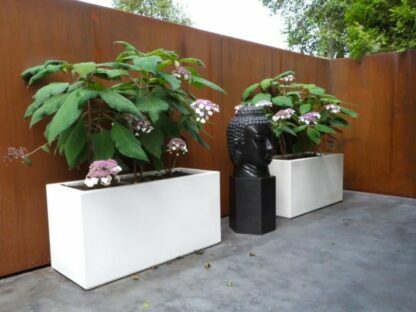 Fibreglass has become more and more popular in recent years as a substitute for more traditional materials like stone or teracotta which are notoriously heavy – and in the case of lead, toxic too. It is comparatively lightweight and easy to install. 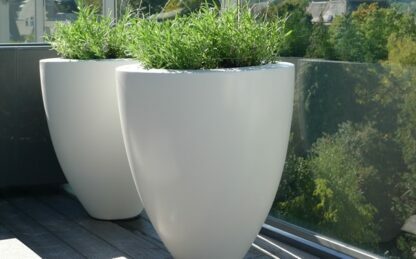 Although Fibreglass garden planters may have at one time been considered tacky or flimsy, the manufacturing of these items has dramatically improved in it’s quality. 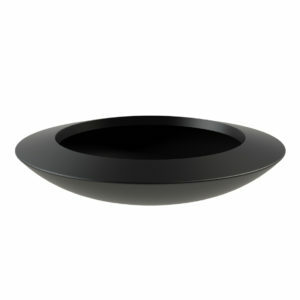 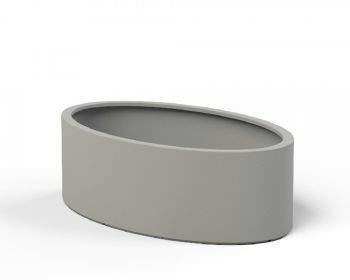 It can be made to fit almost any sort of design or with any finish that you could think of. 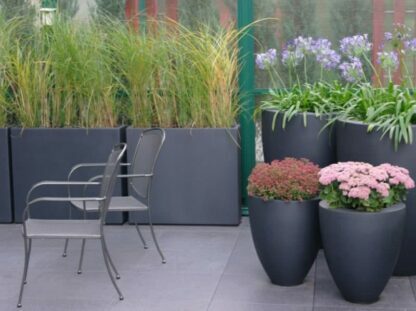 This particular range has been designed with a contemporary motif in mind. 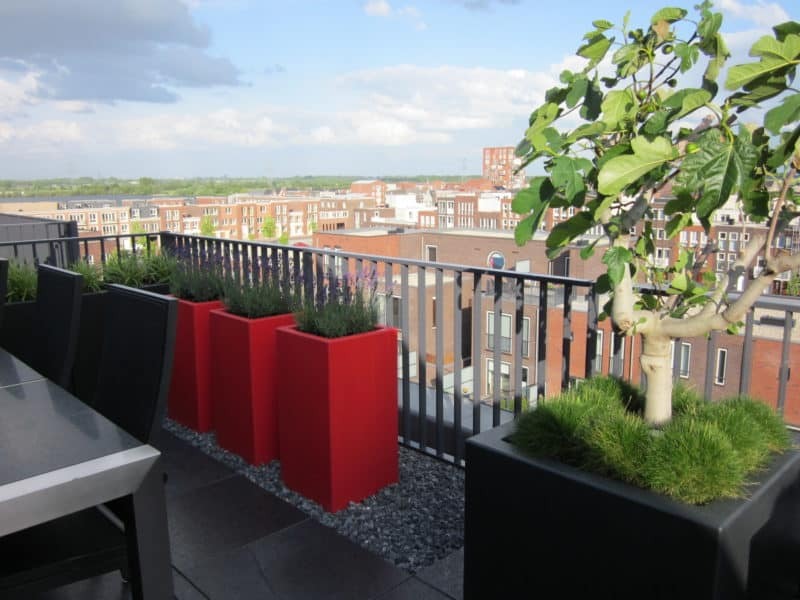 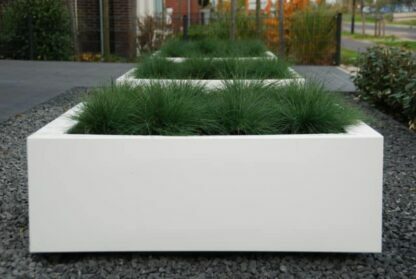 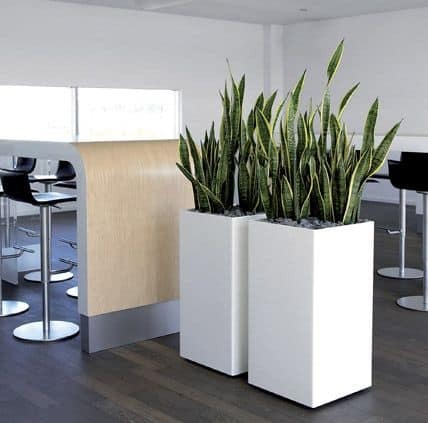 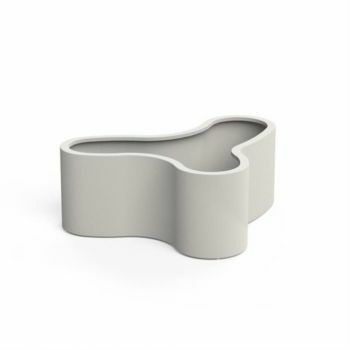 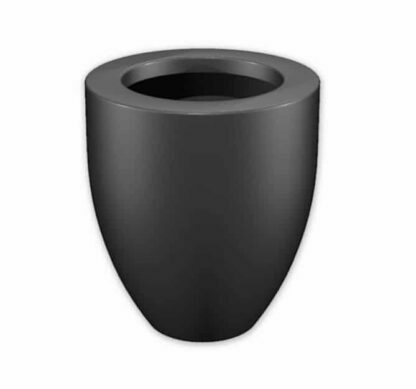 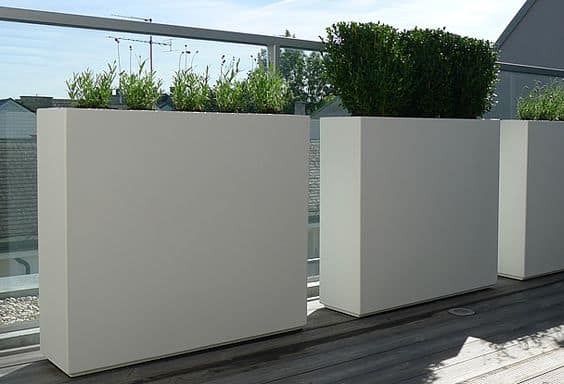 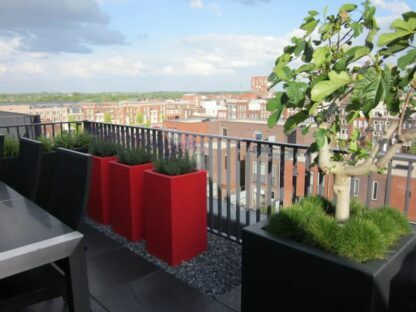 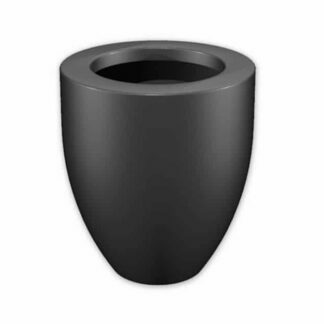 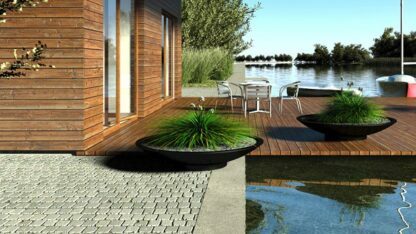 The particular planters have been designed with solid colours and clean lines to make them ideally suited to modern, minimalist designs. They are a good choice for placement on projects such as large residential complexes, offices, hotels or restaurants and bars.